In a sleepy English village in 1944, Annabel and her nine-year-old son Daniel live in the shadow of war. With her husband away, an increasingly isolated Annabel begins to lose her grip on reality. When mother and child befriend a German Prisoner of War consigned to a nearby farm, their lives are suddenly filled with thrilling secrets - although the PoW comes to mean very different things to each of them. To Annabel, he is an awakening from the darkness that has engulfed her since Daniel’s birth. To her son, a solitary boy caught up in the magical world of fairytales, he is perhaps a prince in disguise, one whose secret only he knows. But Daniel often struggles to tell the difference between fantasy and reality, and a lie he tells one day leads to tragedy and murder; shattering the quiet of the village and destroying the lives of several people forever – including those he loves the most. Will Daniel tell the truth? Or are some things better left buried deep in the woods? The distinction between deceit and storytelling can be paper thin, and Daniel is about to discover the potential for good and evil lives in everyone. 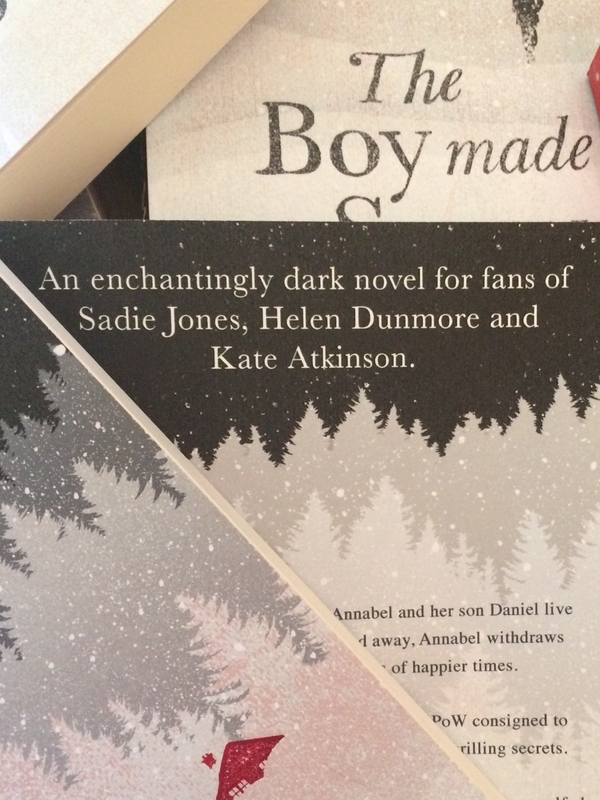 The Boy Made of Snow has been published in several countries. It is available in the UK as a hardback, paperback, audio edition, and e-book from Waterstones, Foyles, W H Smith, Hive, or Amazon.